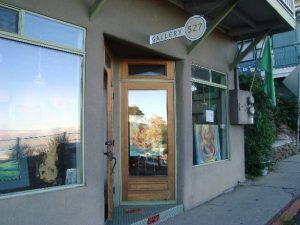 My show, “Choose What You Create,” is now on view at Gallery 527 in the artist-colony tourist destination of Jerome, Arizona. Below is the press release, which got printed in all of the local newspapers! 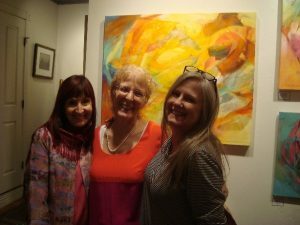 Keep scrolling down to find photos from the show and from First Saturday Artwalk, which served as my artist reception. 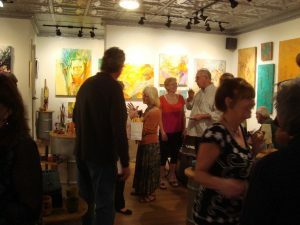 Artwalk is a fun, active time with visitors roving the galleries and shops of Jerome sampling treats and wine from 5-8 pm. The final Artwalk and Artist Reception for my show will be held Saturday, December 2, 2018, 5-8 pm. Please come! “I’m Ready” (40×30”) embodies the crucible of a decision in the show Choose What You Create – all new work by Julie Bernstein Engelmann featured at Gallery 527 in Jerome, opening October 7 during Jerome Art Walk. Gallery 527 announces a new exhibition, “Choose What You Create” – all new work by Julie Bernstein Engelmann, opening Oct. 7 from 5:00-8:00 pm. 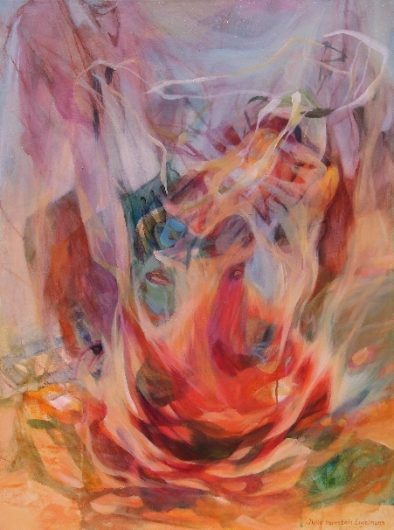 Each of Engelmann’s dramatic abstract paintings embodies a quality she chooses to create in her life. 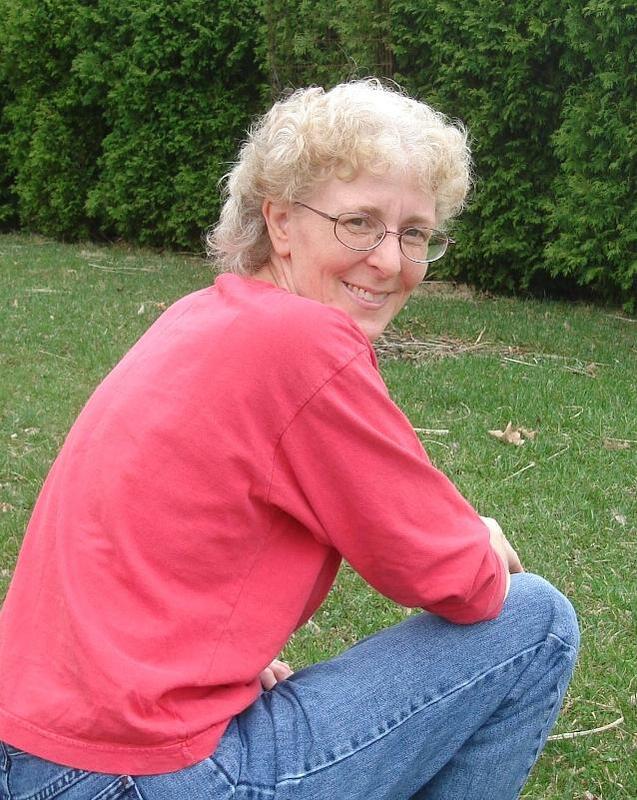 Engelmann holds an MFA from UCLA and a BA from Barnard College, where she studied with Milton Resnick, first-generation Abstract Expressionist. 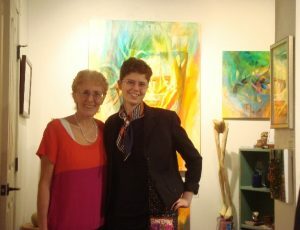 She teaches Luscious Abstractions on the faculty of the Sedona Arts Center School of the Arts. 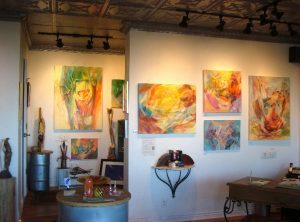 “Choose What You Create” will be on view at Gallery 527 in Jerome from October 7 through December 29. 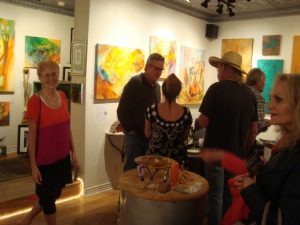 For more information about the Jerome Art Walk please contact Donna at 928.649.2277. 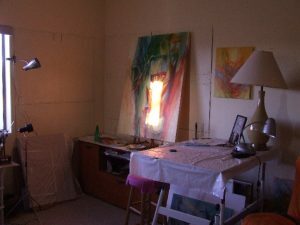 The final painting in my studio before my show: “Mission of the Masters” – and a mysterious burst of light that illuminated it! 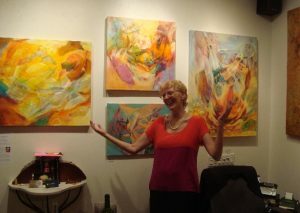 I was very surprised by the pastel look of my new work once it was hung! The following four photos were taken by my daughter, Amber Engelmann, at October’s First Saturday Artwalk, my opening reception. 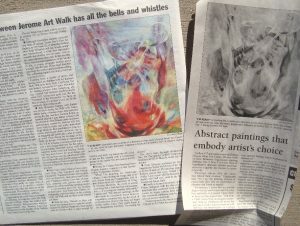 Such wonderful publicity in all of the local newspapers! 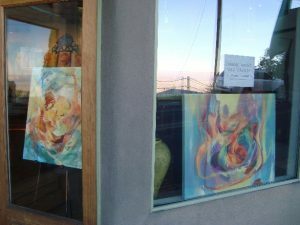 To view any of the paintings more closely, just click to my website gallery or back room. 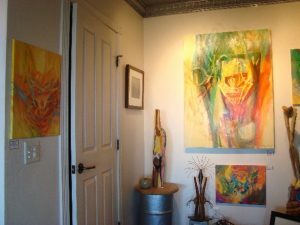 This entry was posted in Events, Exhibits, Galleries, In the studio, Julie Bernstein Engelmann News, Uncategorized on October 26, 2017 by Julie.